People are still lining up to snag a brand new iPhone 7, but that won’t stop anyone from speculating about next year’s iPhone. Why so early? Well, 2017 marks the iPhone’s 10th birthday, so Apple is reportedly gearing up to make its anniversary edition extra special. We’ll keep track of the latest rumors and how plausible they are, and we’ll put them in one spot (this one!) so you can bookmark this link and just pop on over when you want to read the latest. If you passed on the iPhone 7 to wait for the iPhone 8—or whatever name Apple decides to use—it sounds like next year’s phone could be the design refresh you were waiting for. Just don't expect the headphone jack to return. The rumor: Apple may take a page from its own book and release an iPhone 8 with a glass front and back, similar to the iPhone 4 and 4s. The iPhone 8 and 8 Plus will, of course, be larger than those models, which were 3.5 inches. KGI Securities analyst Ming-Chi Kuo, who always has deep insight into Apple’s supply chain, predicted that Apple will make lower-priced models with aluminum casing and more expensive versions with stainless steel. The glass would give the phone a glossy look, like the popular jet black iPhone 7, but be less prone to knicks and scratches than the brushed aluminum. Plausible? Yes. It’s all about the sourcing: KGI’s Ming-Chi Kuo is typically spot-on when it comes to Apple hardware changes. It’s possible that Apple is basing future design decisions on the success of the jet black iPhone 7, which is currently sold out through December. 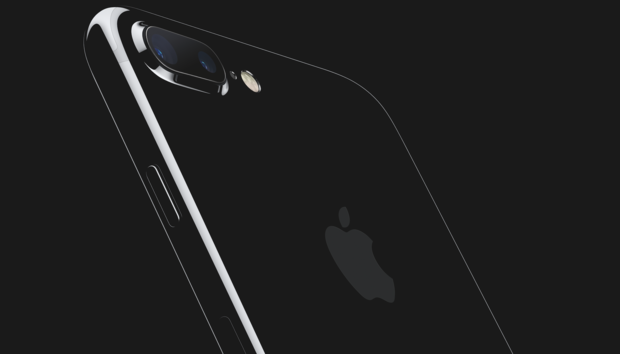 According to the KGI report, 30–35 percent of preorders were for the jet black model worldwide, and in China that percentage was higher—45–50 percent. An OLED display at last? The rumor: So far, Apple has held on to LCD displays, which isn’t a bad thing—the LCD display on the iPhone 7 is just as good as the competition’s OLED screens. But Apple is reportedly in talks with Sharp to be one of its main suppliers of OLED displays to use in next year’s iPhones. According to Bloomberg, Apple wants to diversify its OLED sourcing so it has multiple options. Sharp is investing $566 million in OLED production factories which will start churning out displays by next June. Plausible? Yep. The future is OLED, because the technology is more flexible than LCD and would allow Apple to make the iPhone bezel razor-thin and move the home button to the display itself. There are other applications made possible by switching to OLED screens, and we're sure Apple is exploring those for a future phone.